This traditional Italian dish is made either with grilled eggplant or breaded eggplant. My kids wanted the breaded version so that is what I have pictured above. I provide the instructions for both. This dish is a cross between Eggplant Parmesan and Lasagna and is definitely a wonderful meal for the summer when eggplant is in season. 1) Pre-heat oven to 375 degrees and brush some sauce around in the bottom of a large baking pan. 2) Slice eggplant and either bread them: (dip in egg and then breadcrumbs) or grill them without bread crumbs, just brush with olive oil and salt. 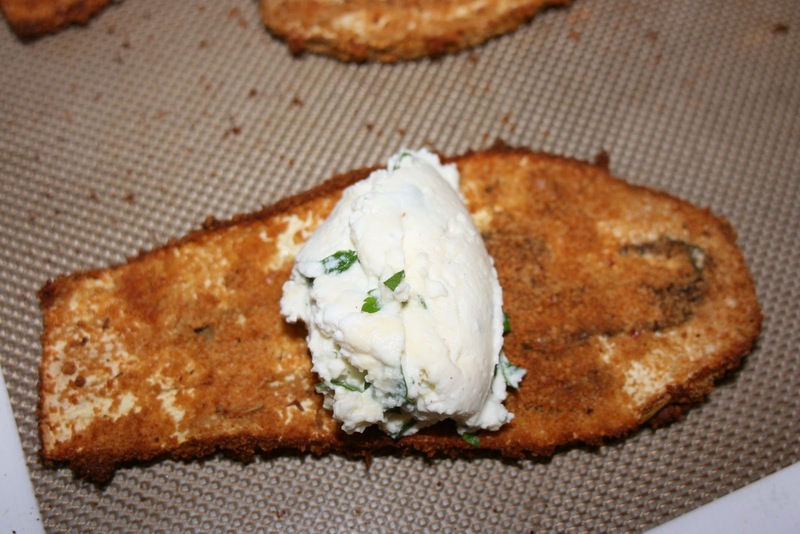 3) Mix ricotta with 1 egg, parsley, nutmeg, salt and pepper. 4) Scoop about 2 tablespoons or more into, not quite the center, of each eggplant piece. Roll it up and place seam it down in the baking dish. 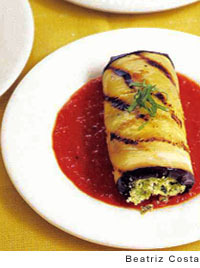 5) Pour sauce over eggplant rolls and top with Mozzarella cheese or skip this step if you are making the lighter grilled version. 6) Bake uncovered for about 10 minutes or until Mozzarella starts to get golden brown or the eggplant begins to brown. I know you are still swimming in zucchini/squash. Well, you can use 2 pounds of it for this soup. I threw whatever was wilting in my fridge into this soup; the seasoning works with anything. The combination of the sweet wine sauce and onions, and the salty earthy bacon brought together on chicken is so satisfying. The Cardamon is what sold me on these pancakes. Classic with a little twist. Interesting sweetener she uses. This is a food party please only link up food related posts. Thank you. 3) Copy the link to the recipes you want to add to Foodie Friday, not your homepage. You can post up to 3 recipes that you have not shared before. Your eggplant rollatini looks so tempting, both versions sound great. Thank you for hosting. Have a great weekend! Thanks so much for hosting. I will pass on your eggplant rollatini to my eggplant loving BIL. I've linked a Green on Green salad with charred corn, chicken, and homemade Green Goddess dressing. Hope you have a wonderful weekend. I shared my Paleo Potatoes. Find out your body type for better health! I wonder if you got my comment? I wish my husband was more open to eating eggplant! This sounds delicious :) I pinned it for the future - in case I ever think I can sneak it past him! Thank you for hosting. Hi Diane - thanks so much for featuring my pancakes today! That made my morning =). Your eggplant rollatini sounds and looks absolutely mouthwatering...especially since I haven't been able to get enough eggplant lately! Thanks for the invite!!! I love eggplant!! I wish I could get my family to eat it! Thanks for hosting! Your eggplant dish looks so good! Hope you have a really nice weekend! Thank you for hosting! THis week I shared my Cauliflower Tortilla Tacos! THey're Gluten/Grain Free, Specific Carb Diet SCD, Body Ecology Diet friendly and have a Vegan Option! Thanks for hosting!!! I love eggplant! 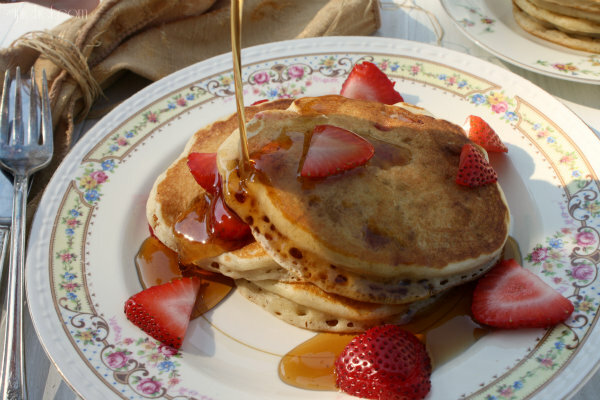 I'm pinning this recipe! Thanks so much for featuring my Curried Zucchini Soup! I have a ton more in my fridge and plan to make this soup again today :) This week I'm sharing my Peachy Chicken Salad. Thanks for hosting and have a great weekend. Great minds think alike or whatever is in bloom get's cooked. Oh goodness, I am for anything eggplant right now. 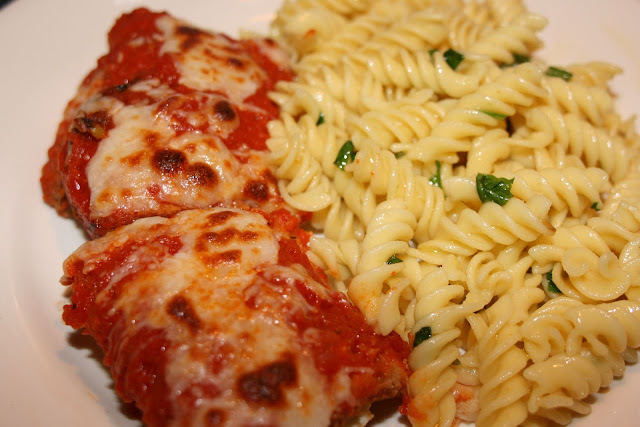 Your Eggplant Rollatini looks so delicious! I have joined your link party and have added Antipasto Salad. Thank you for hosting. Thanks for the link up opportunity!!!! Your eggplant dish looks great! Thanks for hosting and have a fun filled weekend ya! Oh my, you Eggplant Rollatini sounds amazing! I love the combination of flavours and that you can make large batches of this dish! Would make fantastic leftovers. The Rollatini looks divine! My Get Social Sunday link party is live. Would love to have you come link up your homepage and promote your blog! Great and unique use of eggplant. Thanks for sharing at Must Try Monday! These look so good! I am always looking for new ways to use eggplant. I will have to give this recipe a try. Thanks for sharing this at my Meatless Monday hop! I'd love to try the grilled version. I've been cooking a lot of eggplant lately. Thanks for sharing on Southern Sundays! Have a great week! 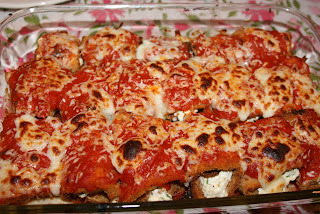 I always enjoy eggplant recipes, and I think breading rollatini is such a good idea! Your dish looks delicious. Hi, I am featuring this week at My Meatless Mondays. This is on my schedule for the week, if I can keep to it. If not, it has to be made. It sounds absolutely delicious. Thanks for sharing it with us. As a postscript, an important one....I love coming here. I like having you here. Thank you very much for the feature. We just had the frozen leftovers of this meal and it froze really well. My family likes it more than eggplant parmesan.